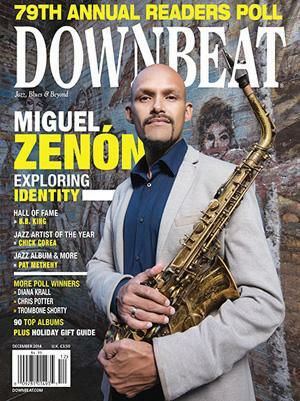 Miguel Zenón, the ever-insightful Puerto Rican alto saxophonist and composer, has garnered enviable credentials over the last 15 years, since first stepping out as a leader: a MacArthur “genius grant,” a Guggenheim, a handful of Grammy nominations, widespread critical acclaim. But the achievement that’s most meaningful to him, and ultimately the most consequential, is his longtime stewardship of a working band. 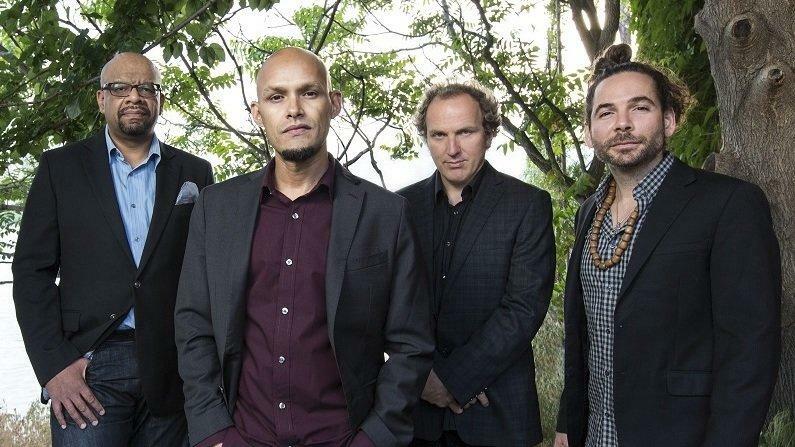 That band, an agile and assertive quartet, has been the center of all his musical activity as a leader, going all the way back to his 2002 debut. 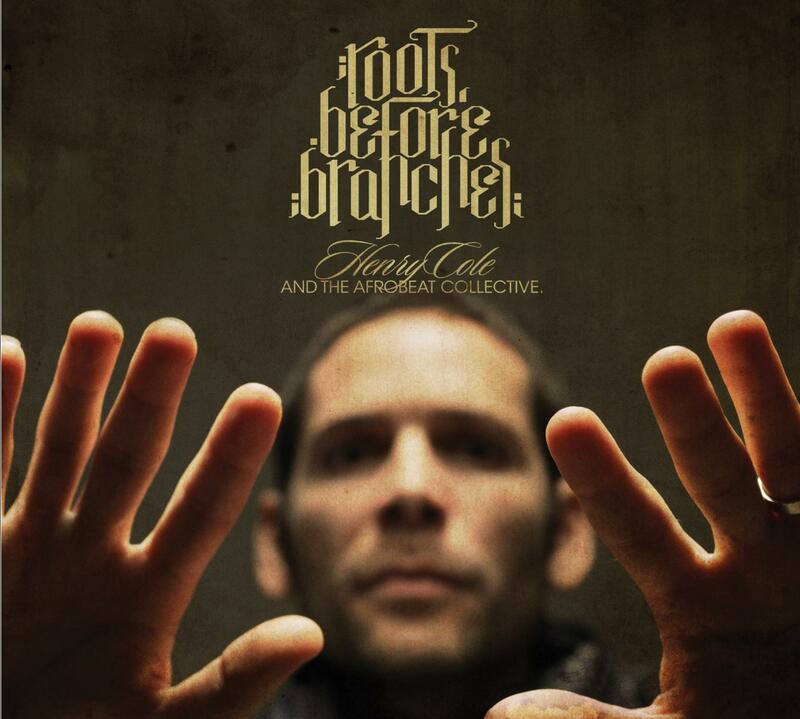 Originally featuring Luis Perdomo on piano, Hans Glawischnig on bass and Antonio Sánchez on drums, it assumed its current form when Henry Cole became the drummer. That was a dozen years ago now, making the Miguel Zenón Quartet one of jazz’s longest-running small groups in active circulation, as well as one of the best. Zenón has often developed his albums around an animating idea: the folkloric rhythm of plena, or the rural culture of the mountains, or the Latin-American popular songbook. His 2014 album Identities Are Changeable incorporated oral history interviews within the Puerto Rican community in New York — immigrants like himself, and those who grew up in neighborhoods like the Bronx. Jazz Night in America devoted an episode to that project, filming Zenón’s big band at the Newport Jazz Festival. 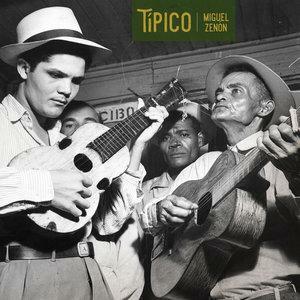 Típico, which Zenón has just released on his own Miel Music label, is unusual in that it doesn’t carry a larger concept. But the album, conceived as a celebration of the quartet itself, is still brimming with ideas. Most of Zenón’s new compositions originated from musical jargon shared among the musicians. So they reflect the various personalities — and the one, singular personality — of the band. 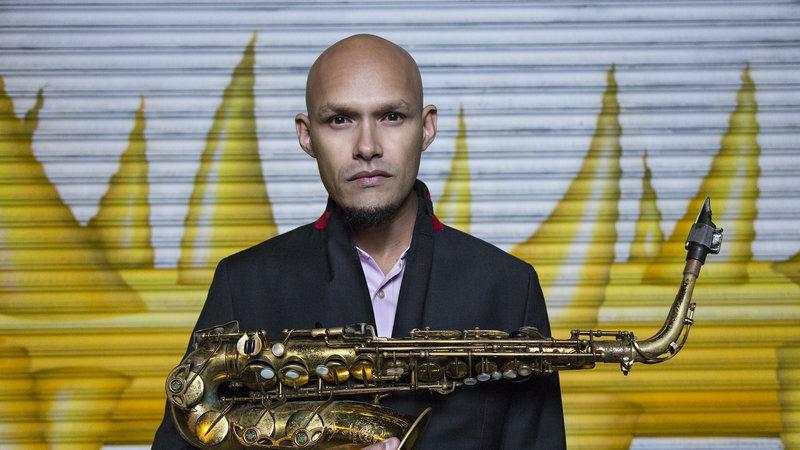 Zenón spoke recently from his home in Washington Heights about the album, the group, his push toward a personal voice, and his wary relationship with Latin-jazz. His quartet is now on tour, appearing in Boston on Friday, in Philadelphia on Saturday, and at the Village Vanguard in New York City next Tuesday through Sunday. For more information, visit miguelzenon.com. I was trying to capture the evolution of a band. I was thinking about this the other day, talking to someone else about some of the great bands: John Coltrane’s, all of Miles Davis’s, even The Beatles. These bands were together for such a short time, and they made all this super-influential music. It’s so hard to do that now, to have a band that plays all the time, and you’re just dedicated to that band 100%. So I do feel very fortunate just to have been able to keep this group of guys together for so long. And even though it has been at a slower pace, I do feel that there’s been some kind of evolution. I include myself in that, too. Just playing and writing music — it all started with this group of guys. This is how I found myself, too. We were playing all this music from the record. We played that gig right before going into the studio. I remember being struck by those compositions, but the real takeaway was: this is just one of the best working bands out there. So as you talk about evolution: what’s different now, as opposed to a decade or so ago? When we first started playing, it was Hans, Luis and Antonio Sánchez and myself. Antonio and I had met in Boston and were coming from knowing each other and playing a little bit. And then Luis and Hans knew each other really well, they went to school together also. So it was bringing these two sides together. With Henry it was the same. It’s really just trust. After a while you just learn to relax and trust each other. And the guys in the band, they feel comfortable with my music now. They know the way I write, they know what to expect, and when I bring a new piece, they know what I’m looking for already. One of the things that I remember thinking about when I started the band was this sort of rhythmic identity. It’s hard to describe, but I was thinking about finding like minds, in terms of people who could feel certain rhythmic identities the same way. It was also about finding players who were familiar with some of the things that were more folkloric, coming from Puerto Rican music or Latin-American music — so that I wouldn’t have to sit down and break down things for them. It just made everything kind of flow. You mention the folkloric element, and these ideas from Puerto Rican culture especially. You’ve done some really focused interrogations of that within a jazz context. How much has the formal application of that idea, for you as a composer, informed the spirit of the band? The way I think about it is that, at first, I was putting all this information into the music as I learned it. I was kind of learning as I went. I would get into a thing, and just study that for a long time, and then start writing music about that, and play it with the band. Now, I just kind of let it happen, in a way. A lot of the information that I’ve gathered through the years, by reaching out and trying to be curious about things, it’s found its way into the way I write and the way that I play. I feel that the guys in the band, they sort of recognize that right away. If I was working on a specific rhythm, like plena, from Puerto Rico, for example — a few years ago we did a recording that was specifically dealing with that, and all the tunes were coming out of that, and I didn’t have to say anything because they knew. And Henry’s from Puerto Rico, Luis is from Venezuela, Hans is Austrian. It’s not like all of us grew up around this music. I’m counting myself: I grew up around the music, but I wasn’t really deep into studying this music when I was in Puerto Rico. This happened so much later for me. But my curiosity, and trying to get this sort of language into the music that I write, and into the band, made it almost second nature for the guys in the band to be able to react to this music without me even having to say anything. I don’t think that you would comfortably call your music “Latin-jazz,” because it doesn’t feel like a hyphenate, really. Could you talk about the nature of that hybridism, and how much you’ve thought about doing something that feels organic rather than imposed? That’s something that sort of was there from the beginning, even when I first got interested in jazz, in my late teens. I was, of course, super attracted to Charlie Parker and Cannonball Adderley and Miles Davis, all the great music. But I sort of found a niche with some of the young Latin-American musicians that were making a name in jazz at the time — people like Danilo Pérez, David Sánchez, the Fort Apache Band, Edward Simon later on. I felt that these were musicians that were honoring their roots and the music of their upbringing, but at the same time were able to play within a traditional jazz context, convincingly. And I remember being really impressed by that. Like, hearing Danilo play with Dizzy Gillespie, playing in a pure Bud Powell style. And then hearing his record and hearing all this stuff from Panama, and some of that tradition, and also hearing some Herbie Hancock and Keith Jarrett in the mix. With other examples of when Latin-American music and jazz mixed, what I heard was almost like instrumental dance music with some improvisation based in the jazz language. Or putting this idea of jazz on top of a rhythmic structure that was from Cuba or wherever. I wasn’t as attracted to that. And with the term “Latin-jazz,” when that term was born, it was born out of this collaboration of musicians coming out of the bebop school specifically. I’m talking about Dizzy and Chano Pozo and Bird and Machito and all that stuff — specifically their collaboration with Afro-Cuban music. A very specific genre of Cuban music that was coming out of rúmba and had this very percussive element. And for the longest time, that became sort of like a seal. It’s like you were marked by that very amazing accomplishment they made. But, you know, if you were from anywhere in Latin-America, and you were trying to play jazz, you must be playing that way. You must be coming out of that specific thing. For the longest time it was very hard for Latin-American musicians to say “Yes, I’m a Latin-American musician, but I’m coming at it from a different place.” Now, it’s kind of happening, in a way. I hear all these musicians from all these different countries, and they’re finding their own identity. That’s why I feel that the term “Latin jazz” itself is almost dated. You’re referring to music from 60 years ago. It’s a language that was very specific. One of the great accomplishments in your career is that you’ve been able to defy that stereotype, but not by running away from your culture. There is a real embrace, at the same time that you’re not allowing yourself to be painted into a corner. I just felt that if I wanted to express who I was honestly, that I had to acknowledge it. Not only that, but when I moved to the States, I moved to study jazz music at Berklee, and I couldn’t do that in Puerto Rico. There were not institutions where I could learn. And when I came here, all that I wanted to do was learn how to play jazz. That was my goal, and the first three or four years that I spent in this country, going to school and getting immersed, basically it was almost like learning a new language for me. Because I had never studied jazz formally. But it wasn’t until I started thinking about what my music was going to sound like when I asked: Who am I? What do I have to give? I started thinking about the fact that all this time I had spent studying jazz music, I had never done that with Puerto Rican music. Even though I grew up with the music, I didn’t go deep into it. I just felt that it was a responsibility. As a Puerto Rican. And I discovered myself, as a Puerto Rican living in the United States, and exploring this music from the outside, and came to appreciate what that meant to me, in ways that I probably would have never come to understand if I had stayed in Puerto Rico. I feel that I became prouder and more in touch with my side of patriotism and nationalism, by exploring Puerto Rican-ness through music. From the outside. I’d like to ask about a few specific tracks on this album. The closing track, “Las Ramas,” begins with a whistled phrase, and it’s such a break from the rest of the album sonically. Can you tell me about the origins of that song? When I was thinking about this recording, I wanted to write a piece for each one of the guys that was inspired by a musical idea that came directly from them. Be it a solo or a riff, a thing that they play. And Henry was the one that I thought about first. He made his first record as a leader, Roots Before Branches, a few years ago. So the title is an allusion to his recording: Basically getting to the branches, las ramas, after the roots. There was an idea that Henry was working on that has to do with a specific subdivision — extending the common form, which is four and three, and then getting into fives and sevens, which would be the next obvious step. So, getting one beat and doing subdivisions with five in that beat, and then within that same beat, doing subdivisions of seven. And then the next step from that would be using each one of those subdivisions to shift tempos. That was the basic idea. Using that to create the illusion of slowing down or speeding up. This is what’s often called metric modulation, right? It would be, in this case, yes. But using five-based and seven-based, as opposed to three and four, which is more common. And then I wrote a simple melody and put that melody through this filter, which is basically this exercise of fives and sevens that goes up and down. It’s a long formula, in a way. I just took the melody and put it through the filter, and then whatever came out rhythmically, I wrote some chords and reharmonizations. That’s the basic explanation. The reason why I added that first part, the whistling part, is that I wanted to present the first part of the melody sort of naked, without any of the rhythmic stuff, just coming out of a place where this is just a melody with simple chords, and now we’re going to put it through this filter. Kind of a theme and variations thing. Another track you composed for a member of the band was “Entre Las Raíces.” And that really struck me because I’m not sure that I’ve really heard this band deal this much with rhythmic abstraction. Is that a specific thing you associate with Luis? Yeah, it is. Luis had a really particular way of getting into music. He started playing professionally when he was like 12 years old. Playing mostly dance music, salsa and stuff. But the way he got into jazz initially wasn’t through Kind of Blue or Giant Steps, but through the avant-garde, like Cecil Taylor and Albert Ayler. That was the first jazz that he was listening to — and he was listening avidly – before he even got to Bud Powell and McCoy Tyner and everybody else. So he’s always had that side of him that’s very natural, and comes out of him. He’s not afraid to go there. And I’ve always found this super-interesting. I really wanted to write something that was a vehicle for that. What I did was, I transcribed a little excerpt of one of his solos, from a record of his called Awareness. I think it was the first track. I transcribed this little line that he plays, which I thought was a really cool line. I arranged the piece around that line, this space for just open improv, and this space for something that's very arranged and very through-composed, and then opens up. I just wanted to give him that space. Like you said, it’s not something that we do a lot in the band. But this record being what it is, I wanted to get to that space. Whenever I think about your music, I hear your voice on the alto saxophone — and I do think of it as a voice. Was there a point at which you brought some intention to the idea of projecting a human vocal quality? It’s something that I work on pretty rigidly. The way I think about sound, I think about from one type of perspective, of being able to produce a sound and being able to control an instrument. When I listen to a vocalist that I love, someone like Frank Sinatra or Ray Charles, and I hear them sing and feel that they’re totally in control and connected to the instrument. They don’t have to press anything, it just kind of happens, because it’s part of them. As instrumentalists, that’s sort of our goal, to get to that point where there’s a connection, almost like it’s part of you. And that takes a lot of work. We’re not really meant to be playing saxophone. Our bodies are not made for that. We have to train ourselves to be able to do some very specific things with our diaphragm and the way we control the air and all that stuff. It’s like fitness. You have to stay on top of it, because if you let it go for a week, you come back and it’s like you’ve lost a couple of years. But there’s also this idea of personality in your sound, and how to get to that spot. It’s the first thing I practice every day. It’s what I think of when I listen to someone play or sing. The first thing I’m looking for is what that sound is. A few years ago I did this record called Alma Adentro: The Puerto Rican Songbook. I knew those tunes really well, and I knew the lyrics. And as I was playing, I was hearing the lyrics in my head. And it was a connection that I didn’t have with other songs, even though I play a lot of those, like “All the Things You Are,” “Body and Soul,” the Great American Songbook or whatever. It wasn’t the same connection to me. And I started thinking about that same idea that I mentioned before: this connection to a vocal quality of the instrument. Not necessarily just by sounding like a singer, but making it feel that way. Making it feel like you can connect to the instrument that way. Ever since then, it’s something that’s always in the back of my mind, thinking about connecting through the instrument with a vocal kind of approach.